The year is 3013. The imperial navy has invaded Prince Samual's world.... The superior weaponry of the CoDominium Empire has brought unity to the Samualans - at the cost of their liberty. Their last bid for freedom is to create a space program. But the knowledge to build a starship is extinct. Colonel Nathan MacKinnie, leads a daring raid to steal these secrets from the planet of Makassar, where the key to space technology is guarded by Temple priests. New Perspectives, Writer Solves Everything. A group of pretend adventurers suit up for a campaign called "The South Seas Treasure Game". As in the early role-playing games, there are dungeon masters, warriors, magicians, and thieves. The difference? At Dream Park, a futuristic fantasy theme park full of holographic attractions and the latest in VR technology, they play in an artificial enclosure that has been enhanced with special effects, holograms, actors, and a clever story line. The players get as close as possible to truly living their adventure. Role-playing to death. What is real? What is fake? Written in two parts, Triplanetary introduces the concept of two warring alien races: the Arisians and the Eddorians, whose battles on Earth are unknown to the human race, and in fact the humans are unaware that the Arisians have been secretly and selectively breeding the humans to use as weapons for these battles. From the time of Rome to World War II, the author takes the listener on a lightning-fast journey through Earth's history as the warzone for aliens. the near future, Los Angeles is an all but uninhabitable war zone, wracked by crime, violence, pollution and poverty. But above the blighted city, a Utopia has arisen: Todos Santos, a thousand-foot high single-structured city, designed to used state-of-the-art technology to create a completely human-friendly environment, offering its dwellers everything they could want in exchange for their oath of allegiance and their constant surveillance. 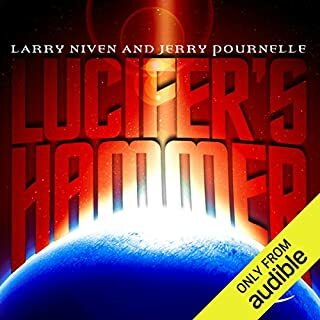 Best-selling science fiction superstars Larry Niven and Jerry Pournelle combine their talents with those of Steven Barnes in an extraordinary adventure of humankind’s first outpost in the farthest reaches of space. Light years from Earth, colonists land on a planet they name Avalon. It seems like a paradise - until native creatures savagely attack. It will take every bit of intelligence, courage, and military-style discipline to survive. 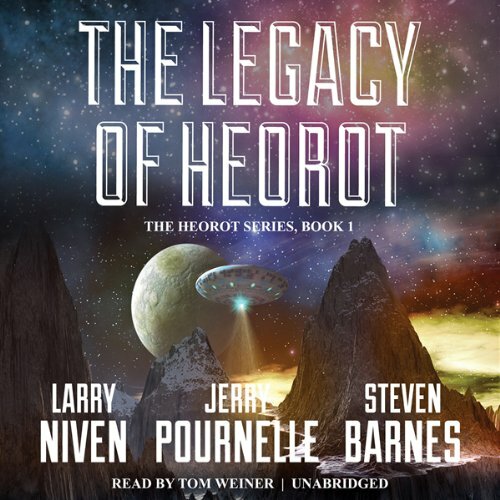 ©1987 Larry Niven, Jerry Pournelle, and Steven Barnes (P)2012 Blackstone Audio, Inc. 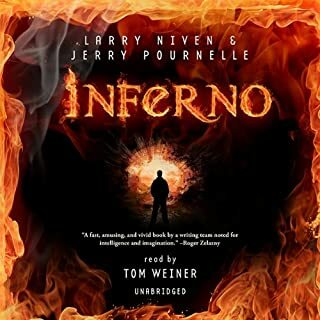 I read this one years ago, asked audible.com staff to consider recording it, they did. Hearing it was even better than reading it. The characters and theme are developed with great care. Absolutely, I read this few years ago, and listening to it performed brings an entirely different element to it. I love colonization books, and this one is one of the best thought out plots/story I think I have seen. If you could sum up The Legacy of Heorot in three words, what would they be? I first read this book back in 87 when it first came out, and it was my favorite book. I have read some great books since, but I still think this is my #1. I remember reading it, and it being a "can't put down page turner", until the big climax. Then I realized I was only 1/3 through the book. 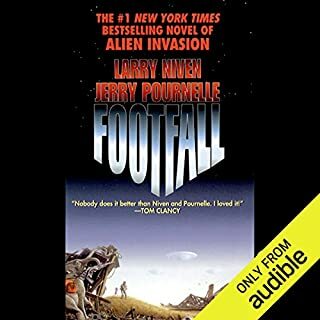 Again, the next big climax, and I was 2/3 through the book.I have always been a Niven fan, but not so much with Pournelle, and when Barnes joins in, I usually don't like the books much at all (Saturn Rising, no thanks), but in this book, they absolutely nailed it.I especially like the way the story gives voice to the thoughts of the Grendel. I almost made a spoiler there. I better stop now, before I let something slip.Just get this book, you'll love it! 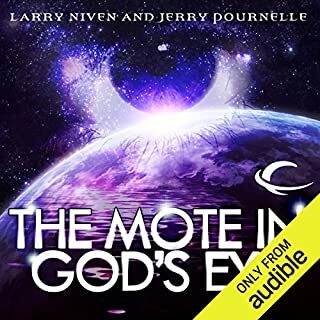 When Niven, Pournelle and Barnes get together to write a novel well it's pure chemistry. It's magical, because I can read these stories over and over and never tire of them! The Legacy of Hearot , the children of Beowulf, Footfall, all the Ringworld stored, and takes of known Space. 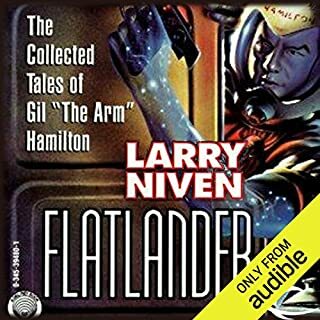 Niven is a master story teller but Barnes and Pournelle really complaint him. I would recommend this book. While under 30 years old, you can still tell the difference in societal norms. Cigarette smoking being glamorous, women in mostly subservient roles to men. But still a very good story. Because of the deepness of the narrator's voice it was sometimes hard to understand, but overall a very enjoyable listening experience. Yes, the narrator did a very good job. You won't waste a single second listening to this book, again and again and again. Well written and action packed. An ecological horror story with credible aliens and believably naive colonists. I first read The Legacy of Heorot, shortly after it was published and was captivated. I returned to it recently as an audible book and found it holds up well, 30 years later. It's a science fiction novel with roots deeply sunk in in the classic Nordic tale of Beowulf. Not my favorite sci-fi work, but certainly worth the listen. Overall, I’d say the story was a lot less scientifically technical than I though it should have been given that the book details “humanity’s first time settling a planet.” Further, the “ice crystals on the brain” that the colonists get from staying in sleep too long played almost no role in the entire book. I was anticipating a space gained ailment to play a much more significant role in the development of characters and events. Overall, it was classic sci-fi, found myself feeling like the book was grossly incomplete at the end, as the colonists never went to the mainland. Didn't find this particularly impressive given the authors are well known. Likely will not listen to rest of series. I also wasn't overly thrilled with the narrators choice of character voices. Possibly one of the best sci-fi yarns, ever. I first read this on publication back in the 1980's and enjoyed it then. I have re-purchased and re-read with gusto over the intervening years. The story is undeniably good, the plot excellent, the tension inexorable. The narrator I at first thought work-a-day, but he turned out to be very, very, good. What did you like most about The Legacy of Heorot? I read this book years ago and was very pleased to see the audio version available at last. What does Tom Weiner bring to the story that you wouldn’t experience if you had only read the book? It is a good story, but hasn't aged well. The book has sexist, survivalist attitudes that seem a little old fashioned even allowing for its publication date. I would have guessed 50s rather than late 80s. I had intended to say more, but it would have contained too many spoilers. It is dated, but If you can get though the first half, its a good story well read. A classic sci fi adventure yarn with superb character development, an alien world described so well you can feel the wind blow and a stunning story with an alien antagonist to match them all. First read this many years ago and it’s as good now as it was then. Very highly recommended! What would have made The Legacy of Heorot better? What would make the story better? Probably not reading it. I'm not accepting that the people who were selected for this mission were the brightest and most able of the half billion that applied. It looks like the Government of Earth loaded the space ship with those they most wanted to get rid of. When the ' monster' attacks the 'Scientists' basically go berserk and burn down their encampment. I had to stop listening at that point as it was to ludicrous to be even remotely believable. Possibly it would get better but I doubt it. Hurry up monster and kill all the humans you would be doing the galaxy a favour. 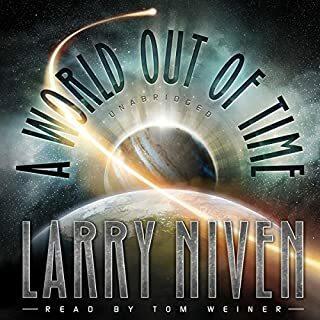 Would you listen to another book narrated by Tom Weiner? To be fair the narrator was quite good.